Halloween is fasting approaching and the latest trend making headlines is the Vampire Breast Lift ®. Dr Runels who coined the Vampire Face Lift ® has applied the use of PRP to the breasts. Platelet Rich Plasma (PRP) is a technique of taking blood from the patient’s arm and using a machine to separate the various components of the blood. When the separated platelets are mixed with plasma this produces PRP. The higher levels of platelets contain higher concentrations of numerous growth factors. These are thought to be the secret behind the effects of PRP. The numerous media reports of this application of PRP to the breasts have included images of a patient who had her cleavage area injected with PRP. 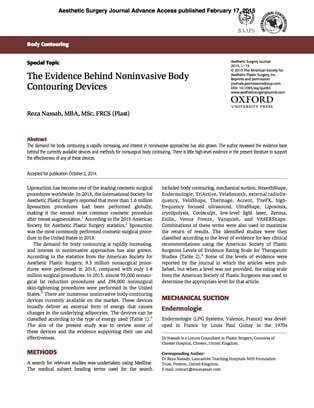 Although some beneficial effects can be seen the evidence for the procedure remains sparse. There are no scientific publications currently available to show the long-term outcomes of this treatment. There are, however, numerous publications exploring the use of PRP in medicine from cosmetic surgery to orthopaedics. These studies support the potential benefits of PRP for wound and bone healing. 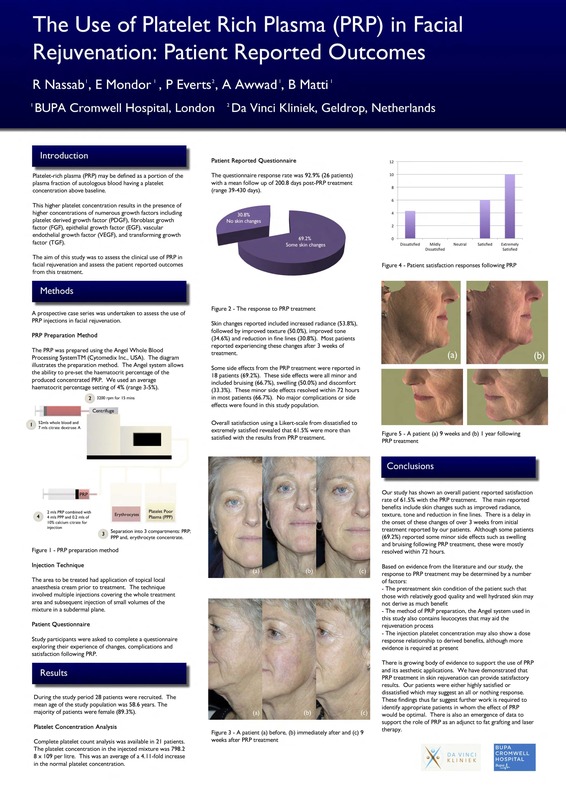 Mr Nassab was involved in research exploring the use of PRP for facial rejuvenation. This research was highlighted in a number of national newspapers in the UK including the Daily Mail. This study showed that 61.5% of patients were satisfied with the results of the PRP treatment. We, like Dr Runels, also found that it takes time for the results of treatment to become evident. The most important factor was selecting the right patient for the procedure, also highlighted by Dr Runels. The quality of the skin before treatment is important as well as how the PRP is prepared. There is a growing body of evidence supporting the use of PRP in medicine and its use in aesthetics is becoming more popular. There are likely to be some beneficial effects from PRP in skin rejuvenation but more evidence is required to support this.